PRISM MARKETING CONSULTANTS || JANUARY 12, 2015 || Despite the forced cancellation of his first appearance late last year due to the untimely passing of his mother Ms. Gloria Edwards, Dancehall recording artiste Demarco was given a hero’s welcome over the weekend when he made his inaugural visit to Gambia. The Jamaican was greeted with much fanfare after landing in the African state for the January 10th concert at the Independence Stadium but was quickly whisked away to a secured location by his security detail. Speaking at a press conference prior to the show, Demarco promised at a stellar performance and also used the opportunity to personally apologise to the Gambian people for his unavoidable absence last year. Following the press conference Demarco and his team escorted by a motorcade where taken on a road trip throughout the thoroughfares of the country by the ‘Bul Falleh Nyee’ hit maker including the capital city Banjul where he connected with hundreds of fans and provided photo opportunities. Unfolding on Saturday night the concert was a resounding success as Demarco along with a number of local acts unravelled their musical artistry WATCH VIDEO SNIPPET to the thousands inside the multi-purpose stadium in Bakau. Aside from the classics the Jamaican enjoyed good reception for the Zj Liquid produced ‘Good Book’ and the now viral ladies dance anthem ‘Puppy Tail’ before closing out his set with one of the continent’s mega-hit ‘Bun Up Party’ featuring Gambian superstar Gee. “I thoroughly enjoyed myself last night__ what is amazing is how quickly my recently released songs like ‘Good Book’ and ‘Puppy Tail’ have gain popularity here in Gambia. 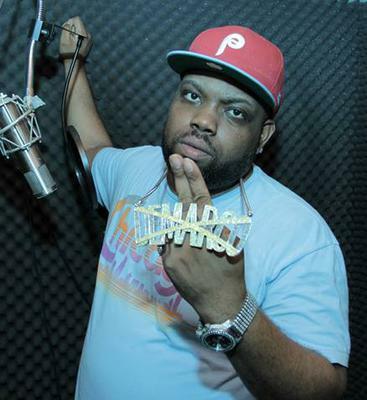 This is further testament that music has no boundaries and I am definitely looking forwarding to performing for my African people again” – Demarco told the Gambian media. Demarco is expected back in the island early this week to begin filming on a project for the British based media outlet BBC amid preparation for his upcoming tour of the United Kingdom. He’s also billed to headline the January 17th finale of the Bigga High School Showdown DJ Competition alongside Aidonia at D’Entrance on Constant Spring Road.